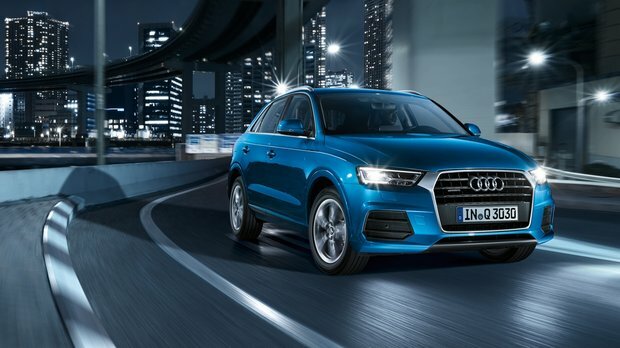 In terms of exterior looks, the 2016 Audi Q3 has all the makings of a timeless classic with a silhouette that’s equal parts sporty and sophistication. Just because something is luxurious doesn’t mean it has to be prissy. Case in point: The 2016 Audi Q3 compact crossover. Sure, it’s loaded with lots of technology, luxurious high-end materials and a prestigious four-ring log on the front grille, but it doesn’t mean it can’t get down and dirty with the best of the all-terrain vehicles out there. Let’s start with the fact that the 2016 Audi Q3 is so much more practical than you might have originally thought. Sure it looks small from the outside, but sit inside the compact crossover and you’ll quickly want to ditch the first c-word there. It has heaps of space in the back that’s not at all noticeable from the outside. Sure, it’s not the largest out there, but with 473 litres of cargo space it offers a good amount as far as segment standards go. For small families, couples or singles who like to go on weekend adventures, the 2016 Audi Q3 is a fabulous choice of vehicle. Now, it’s not just about interior space when it comes to crossovers, especially not a crossover from Audi. Of course, you’re wondering about the powertrain lurking beneath the well-tailored and sophisticated hood. Well, there’s one engine on offer: a 2.0L TFSI unit that produces 200 horsepower and 207 lb-ft of torque coupled with a Tiptronic automatic transmission, and of course Audi’s well-known and much loved Quattro all-wheel drive system. In terms of exterior looks, the 2016 Audi Q3 has all the makings of a timeless classic with a silhouette that’s equal parts sporty and sophistication. LED daytime running lights along with LED taillights and Xenon Plus headlights give the Audi Q3 a modern flare that’s immediately noticeable on the road, and the 18” 5 twin-spoke Audi Sport cast aluminum wheels add a stylish element that’s hard to ignore. There’s no denying, the 2016 Q3 is one of the more attractive luxury crossovers currently on the market today. Combining technology with drivability and design, Audi’s managed to keep the Q3 relevant and on top in a segment that’s literally white-hot with competition these days. You’ll agree that the Q3 fully deserves to be on top when you head down to Glenmore Audi to speak to one of our experts all about the luxury crossover and everything it has to offer. And don’t forget to book yourself a test drive, you won’t be disappointed.